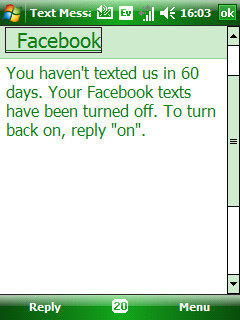 You haven't texted us in 60 days. : Is There A Problem Here? 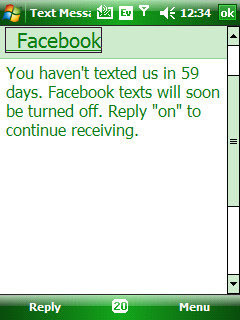 : You haven't texted us in 60 days. You haven't texted us in 60 days. I've been getting these for several days in spite of replying "on" to several of them. I did reply "on" and was still shut off. On further investigation, I see that the auto-capitalization feature of my phone's virtual keyboard had changed my "on" text message to "On". I then text a manually forced "on", and get confirmation that the texts will continue. Maybe it is just me, but I don't think automated keyword processing should be case-sensitive when users are entering the text on cell phones.